Join the Real Ideas Organisation for the screening of Engineering Plymouth as part of Plymouth History Festival. The film highlights how civil engineering has shaped Plymouth and transformed the lives of people in the city. 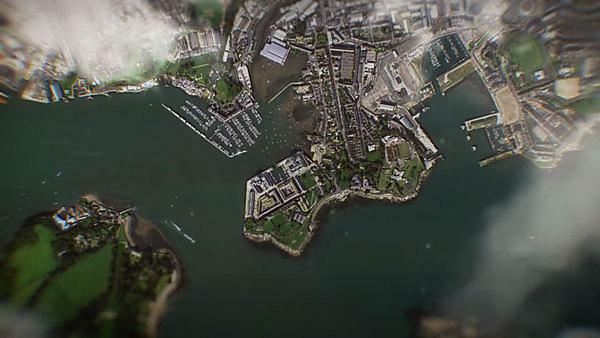 Engineering Plymouth illustrates the city’s engineering journey through time before focusing on its future and the people tasked with leading current major engineering projects. It was produced as part of the Institution of Civil Engineers (ICE)’s 200th anniversary celebrations in 2018, which also coincided with the government's Year of Engineering. Among the locations featured in the film are the University’s COAST Laboratory, Electron Microscopy Centre, Marine Station and Structural Integrity Laboratory. The film was produced by the London-based production company Wind & Foster and narrated by actress Dawn French, with music by acclaimed singer songwriter Seth Lakeman. It brought to life more than 500 years of engravings and archive photography and was supported by 14 regional partners and over 30 contributing organisations. With more than 25 filming locations in Plymouth and surrounding areas, the film also featured iconic landmarks including Smeaton’s Tower and Tinside Lido on the Hoe, the Guildhall and St Andrew’s Church in the city centre, the Tamar and Royal Albert Bridges, Fort Bovisand in the South Hams and the Plymouth and Dartmoor Railway. The talk will be given by Miranda Housden from ICE South West and film director Jevan Chowdhury from Wind & Foster. Visit the Eventbrite webpage for further details and to register your attendance. Plymouth History Festival celebrates and highlights as many different aspects of the city’s unique history and heritage as possible.